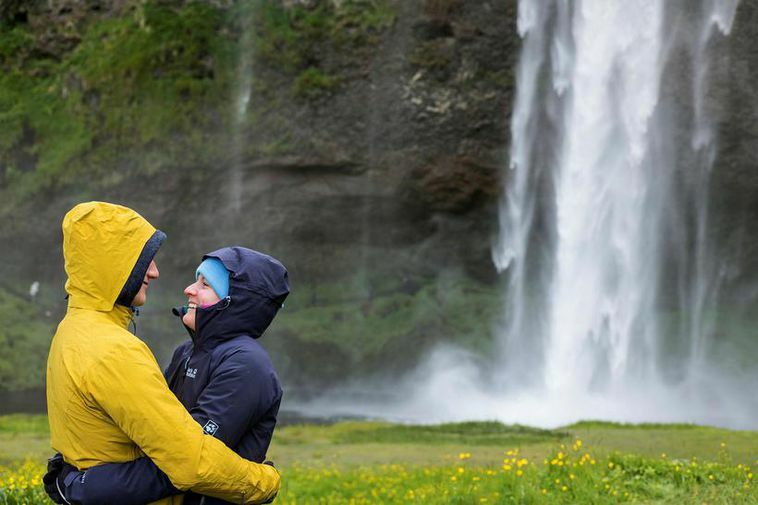 Kristján Ólafsson, chairman of the association of landowners at Seljalandsfoss waterfall says," I thank God that nobody was killed, that's of course the most important thing." Access to the waterfall has been closed off due to enormous rocks plunging from the cliffs above the falls. Police in South Iceland and the landowners made the decision to close the path as rocks weighing up to 100 kilos hurtled down. Nobody was injured but obviously the situation posed grave danger. The rocks fell fairly close to people standing below the waterfall. It is unlikely that the path will reopen in the next few days. A specialist at the Iceland Meterological office is inspecting the falls to predict the likelihood of further rockslides. "We will wait until its certain that there is no danger to people before we reopen," says Ólafsson. It is still possible to view the waterfall but access to the walking path at the waterfall is closed.